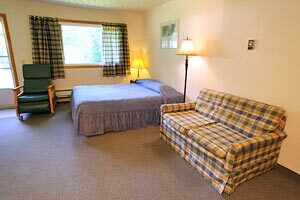 Each of the spotlessly clean and comfortable units features high speed wireless internet, cable TV, four piece bath, housekeeping facilities the include a stove top, fridge, microwave oven, coffee maker with complimentary coffee, toaster and all necessary utensils. For our winter guests, there are car plug-ins available with each unit. Each of our six units is named after a Scottish or Irish Clan. We also offer a fax and copy service. a single pull-out bed. Room 6 has a queen and a double pull-out bed. 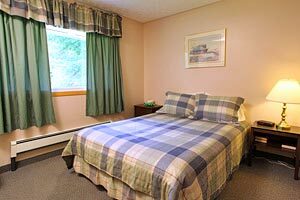 Cots are $5 per night. 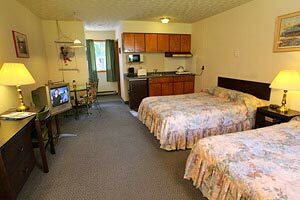 Pets are $5 per night for each pet.